It’s officially a new year, which means it’s also time to think about a new you. But we’re certainly not talking about logging hours in the gym or going on an extreme diet. Instead, try something a bit more exciting in 2016: book in a stay at one of the four best wellness retreats in India. Enjoy Ayurvedic therapies and treatments, sign on for yoga and meditation workshops, and follow professional detox programmes… all while basking in the incredible Indian scenery. By the end, you should feel refreshed inside and out (and fully atoned for any Christmastime indulgences). With its gorgeous light-filled interiors, its tucked-away location in the Himalayan foothills, and its devoted adherence to personal healing, VANA Malsi Estate has long ranked as one of the best wellness retreats in India. And that reputation will only be further cemented following the upcoming opening of the resort’s Tibetan Healing Centre. Focused on Sowa Rigpa – the traditional Tibetan equivalent of Ayurveda – the centre specialises in a number of holistic offerings, including massages, compression treatments, and more. When not spending time with therapists and wellness experts, visitors can even find inner peace in the centre’s mediation cave. Not all of the best wellness retreats in India are rural, however. 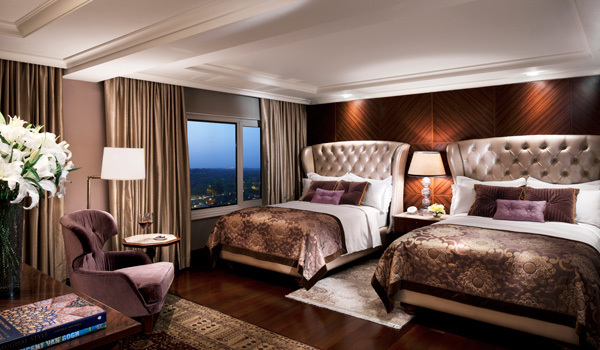 For the travelling urbanite who wants to further their healing – while also enjoying some city explorations on the side- venues like the Taj Palace Delhi offer the ideal compromise. The hotel houses a sprawling Jiva Spa, with rejuvenating spa journeys and retreats aimed at both individuals and couples. All-encompassing treatments range from Ayurvedic-inspired care to time spent in the swimming pool, sauna, and steam baths. Yoga is also available, but for those who like their exercise a touch more fast-paced, the on-site ‘techno gym’ really gets the blood pumping. 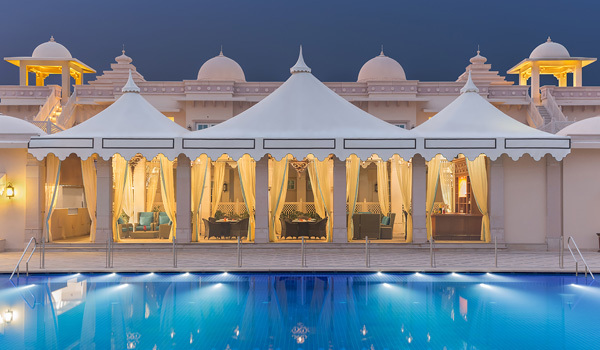 Need proof that it’s never been a better time to book a stay at the ITC Grand Bharat? The jaw-dropping venue was recently ranked the number one resort in Asia in 2015’s Condé Nast Traveler Readers’ Choice Awards. The crown jewel of the retreat’s wellness programme is its Kaya Kalp Royal Spa, which offers both traditional and more contemporary treatments. The venue’s Yoga Pavilion is another draw, and visitors can register for comprehensive regimens that also include Ayurveda and naturopathy. And for those who want to sample local cuisine in a healthful way, the hotel also offers ‘Swasthya Cuisine,’ or lower-calorie versions of classic Indian dishes. 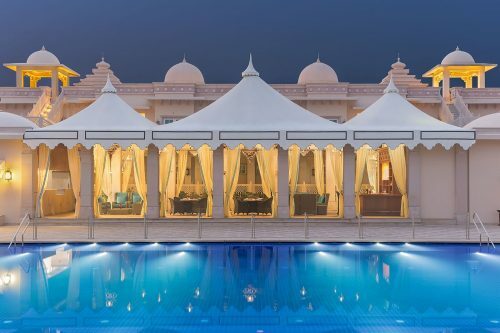 The Oberoi Sukhvilas may yet be several months away from throwing open its doors, but this wellness retreat in progress is already being tipped for destination status. 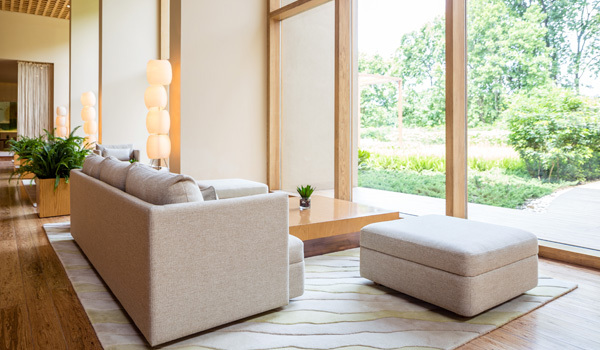 Located amidst dense forests in Chandigarh – not far from the Himalayan foothills – the venue’s luxury spa will be at the heart of its operations. Guests can look forward to Ayurveda and hydrotherapies, as well as more diverse offerings, ranging from an ultraviolet sauna to a Roman tepidarium. When not luxuriating in the treatments, visitors can also cosy up in their rooms, whether they be guestrooms or luxury villas.